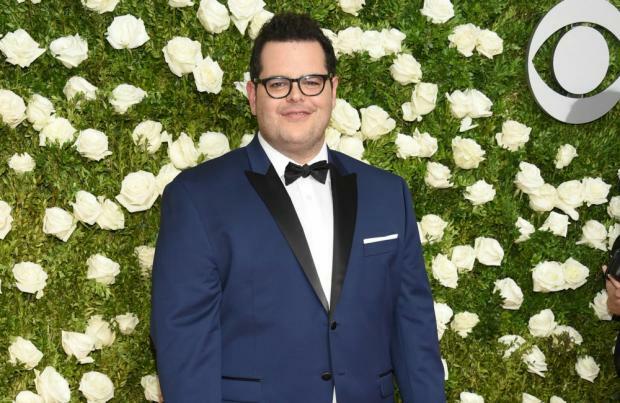 Josh Gad isn't allowed to read the whole script of 'Frozen 2' in case he spills spoilers. The 36-year-old actor voiced the snowman Olaf in the massively popular 2013 Disney animated movie 'Frozen' and is now currently in the studio recording his voice parts for the highly-anticipated sequel, however, he hasn't seen the full story so he can't leak any plot details. Speaking to the Metro newspaper, Gad said: "I don't want to spoil anything but Olaf only lasts for the first act. I'm kidding. Disney has kept all of it from me. They're gonna give me pieces of dialogue out of context because I have a big mouth!" The original film followed fearless Anna (Kristen Bell) who joined forces with Kristoff (Jonathan Groff) and his reindeer to find Anna's sister Elsa (Idina Menzel) who accidentally left their kingdom in a perpetual winter. In September, Gad revealed voice recordings for the sequel have already begun and the original cast are all set to return. Gad will next be seen in the new movie adaptation of Agatha Christie's Hercule Poirot novel 'Murder on the Orient Express' and stars alongside a number of Hollywood greats including Dame Judi Dench, Penelope Cruz, Johnny Depp, Sir Kenneth Branagh and Michelle Pfeiffer. However, despite the number of Hollywood legends, Gad admitted the whole cast bonded together and was a "love fest". He said: "When you first get there you are concerned about how all those personalities are going to mesh but it was love fest. "Every day when we were done shooting we would all go and get drinks or something. There was this incredible game Penelope Cruz introduced us to called Werewolf, where you all sit around as a group and two people are, without knowing it, werewolves - and you have to determine who they are. "Penelope and Javier Bardem [husband] have been playing this game for years. We played it the whole time."